Savvy car shoppers in today’s highly competitive automotive market have a literal treasure trove of options when it comes to choosing a solid, reliable midsize family sedan. 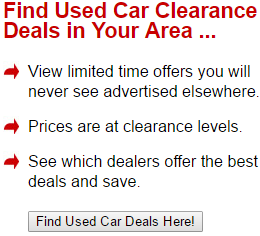 For starters, there are the seemingly safe and predictable choices in the form of the Honda Accord and Toyota Camry. Some shoppers tend to branch out by adding Hyundai, Nissan and Kia to their list or buy American courtesy of the Ford Fusion or Chevy Malibu. For years, European car makers have been noticeably absent in the growing list of mainstream players in favor of the more upscale premium markets – that is, save for one. 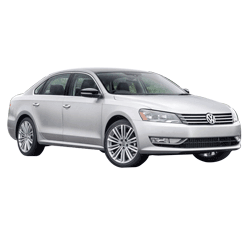 The 2014 Volkswagen Passat stands out as the only European car in the highly competitive family sedan segment. It also brings with it a unique European aesthetic that is noticeably different from other family sedans. From its clean Eurocentric exterior styling and business-like interior to its solid and controlled ride and handling, the Passat serves as a Teutonic alternative to the usual midsize family sedan choices. The Passat also stands out as one of the precious few vehicles in its class to feature a turbocharged diesel engine option in the form of the Passat TDI. The 2014 Passat has seen its fair share of changes, the most notable being the addition of a new trim level as well as a change in the engine lineup. The Passat features five trim levels – the base S, Wolfsburg Edition, mid-level SE, Sport and top-tier SEL. The S model offers 16-inch steel wheels, keyless entry, cloth seating and Bluetooth connectivity among its many options. The Wolfsburg Edition, based on the S model, adds 16-inch alloys, leatherette upholstery, a leather-wrapped steering wheel and heated front seats to its ever-growing features list. The SE and SEL come well-equipped, with the top-of-the-line SEL receiving 18-inch alloy wheels, leather seats and dual-zone climate control, as a small sample of its lengthy list of options. The Sport is the newest of the five trim levels. Based on the SE, the Sport receives unique 10-spoke 19-inch alloy wheels as well as a rear spoiler, fog lamps and a variety of other special exterior styling cues. Inside, the Sport benefits from steering wheel-mounted manual shift paddles for automatic-equipped models. The Sport also gets its fair share of unique interior styling touches, including faux carbon fiber interior trim, two-tone leather-trimmed seating and aluminum pedal caps. Volkswagen’s numerous engine choices for the new Passat include a new 1.8 L turbocharged 4-cylinder engine. Rated at 170 HP and 184 lb-ft of torque, the new mill currently lives under the hood of the Passat Sport. However, the 1.8T is slated to eventually replace the long-running 2.5-liter five-cylinder engine, also rated at 170 horsepower but with seven fewer pound-feet of torque. In the Passat Sport, the 1.8T features a standard six-speed automatic transmission or an optional five-speed manual transmission. Remaining engine options include the 3.6-liter six-cylinder engine and 2.0-liter turbocharged four-cylinder diesel engine. The 3.6 V6, available as an option on the SE and SEL, serves as the Passat’s most powerful engine choice with 280 horsepower and 258 pound-feet of torque on tap. It also features Volkswagen’s DSG six-speed automated manual transmission as standard. Then there’s the aforementioned turbodiesel option that underpins the Passat TDI. Available as an option on the SE and SEL, the TDI delivers 140 horsepower and 236 pound-feet of torque along with up to 43 mpg when equipped with a six-speed manual transmission. The DSG is also available with the TDI. For anyone in search of a spacious cabin, the Passat is a literal oasis of space. Not only is there plenty of legroom and headroom for front passengers, rear passengers also get an opportunity to stretch out and ride in comfort. The Passat is also a winner when it comes to trunk space. Buyers have 15.9 cubic feet of space at their disposal for packages, luggage, groceries and just about anything else that can be thought of. In addition, the large pass-through and 60/40-split rear seatbacks make loading and hauling large and bulky items a breeze. The Passat’s interior delivers a genuinely upscale experience that’s aided by best-in-class materials. Simplicity is also a key word when it comes to interior controls and switchgear. The 1.8T offers a highly competitive alternative to other four-cylinder engines found in mainstream competitors. At an EPA-estimated 28 mpg combined for both automatic and manual transmissions, the 1.8T offers comparable fuel economy to the four-cylinder Honda Accord. At 43 mpg, the TDI’s highway fuel economy is also on par with a number of hybrid offerings. The TDI also offers a rather satisfying and near-instantaneous amount of torque for ordinary city driving. The Passat offers an abundance of safety features, including VW’s recent Car-Net telematics system. Available on trims above the S model, it offers roadside assistance, automatic crash notification and the ability to set geographic boundaries for teen drivers. The Passat was awarded a top score of “Good” by the Insurance Institute for Highway Safety in recent crash safety tests measuring side-impact, frontal moderate-overlap and roof strength performance. The Passat also earned five stars for frontal impact and side crash protection in government crash testing. Compared to other family sedans in its class, the Passat offers a more Euro-centric driving experience thanks to its precise steering and good road-holding. Nevertheless, it remains quiet and comfortable for both driver and passengers. The Passat is also competitively priced against other midsize offerings, with a starting MSRP of under $21,000. For those who hated the 2.5-liter five-pot mill that was standard in previous Passat models, fear not – the 1.8T will eventually supplant the aging five-cylinder as the Passat’s default engine. Despite being a relatively spacious family sedan, the driver seat lacks shear number of seating adjustments that some other sedans offer. It also lacks lumbar adjustment and seat-bottom tilting. Unless you specifically choose the TDI, don’t expect to get award-winning fuel economy with the Passat. The 3.6 V6’s fuel economy is nothing to write home about (at 20 mpg city and 28 mpg highway) and the 2.5-liter five-cylinder engine also lags behind its competitors (at 22 mpg city and 31 mpg highway for automatic-equipped models). The 2.5-liter five-cylinder engine not only offers worse fuel economy, but also slower-than-average acceleration when compared with other vehicles in its class. Despite efforts to fine-tune its U.S.-bound offerings, Volkswagen’s earlier long-term quality woes still cast a pall over its current offerings. The current generation Passat is still a relative unknown when it comes to long-term quality and reliability. The 2014 Volkswagen Passat definitely holds its own as a viable alternative to the average midsize family sedan. Its superb combination of European exterior styling, high-quality interior accommodations, a long list of standard and optional features as well as a strong powertrain selection and excellent safety record makes it the car of choice for savvy buyers wanting to shop outside of the “Camcord” box.